It is said that art is subjective. While that may be true, the most indisputable aspect of art is that is it powerful and can be used to create change. All throughout history artists have used their platform to shed light on an important issue relating to society or the political struggles of their time. While art is often created for entertainment, especially in our celebrity-driven, money-fueled generation, there are still many artists using their unique voice to speak up for what moves them. At least this is true in the case of Saudi Arabian photographer Nouf Alhimiary who is based in Jeddah. The common narrative coming out of Saudi Arabia in relation to women is that of oppression. Women cannot yet vote or drive and there are many steps until women reach gender equality in the Kingdom. Nouf is passionate about weaving feminism into her work and using it to shed light on the growing feminist movement in Saudi Arabia. Feminism manifests itself in many different forms around the world and to us it is very exciting to see how it is growing across the Middle East, giving a generation of young women more courage than their mothers and grandmothers to speak out about injustice. 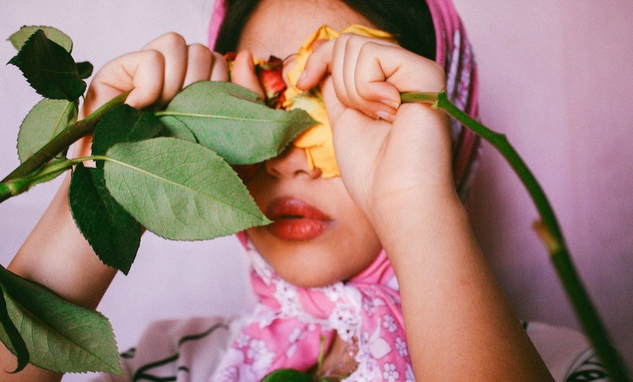 Nouf is fascinated by feminist expressionism, mysticism and photojournalism, and her photography goes to explore aspects of women’s lives in documentary/conceptual style. 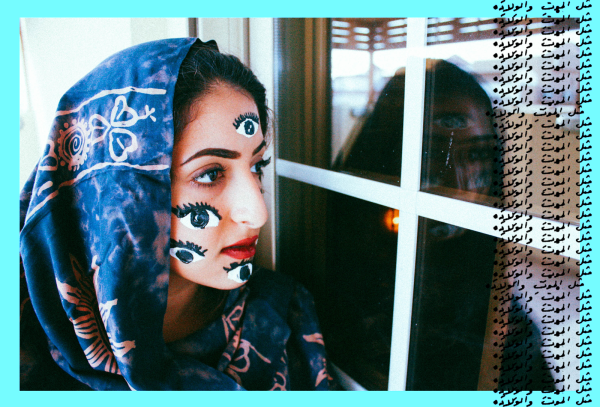 She explores cultural identity through the eyes of Arab women. In an interview with Aquila Style, she talks about her influences, why she is a feminist and why including feminism in her work is important to her. 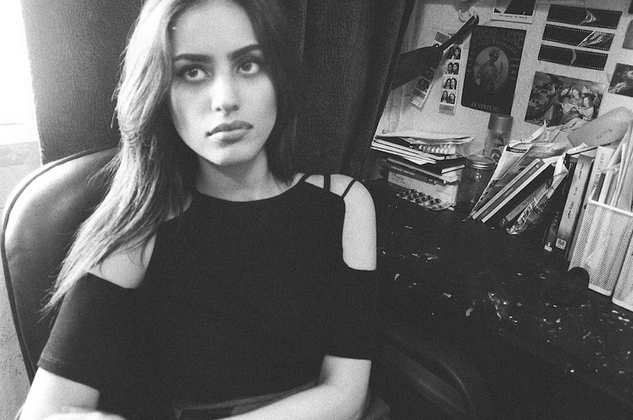 “Feminism and women generally occupy a huge portion of the themes I tend to explore,” she says. Women have become a recurring theme in her work, including one series called ‘What She Wore’ which is somewhat of a spin-off of the popular “outfit of the day” columns we see in women’s fashion magazines. It was created to show how Saudi women display their individuality. “Feminism has influenced my work massively; in my work the female takes the stage as the central and most important character. 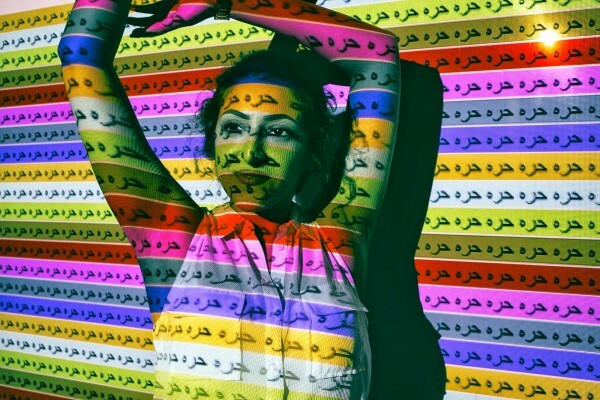 It’s important to me as an Arab female photographer to focus on what individuates my identity and to create images that other woman can relate to,” said Nouf. “I am a feminist as I said, growing up I have been conditioned to think that women are not the protagonists, that they’re always some sort of supporting character in someone else’s story. In my work the female takes the lead, she is the central theme and the most interesting topic, specifically Arab women’s identity in the current state of the world,” she continued. 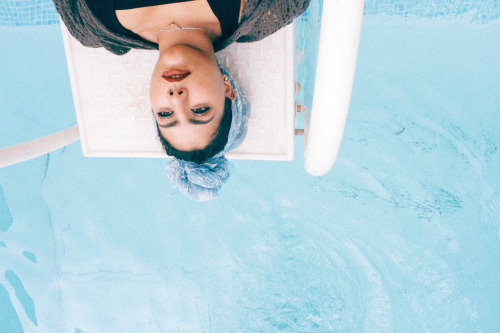 Nouf is an award-winning photographer who has had her work has been displayed all over the world including the British Museum’s Addis Gallery, Fotofest Biennial in Houston, and the Venice Biennale in Italy. 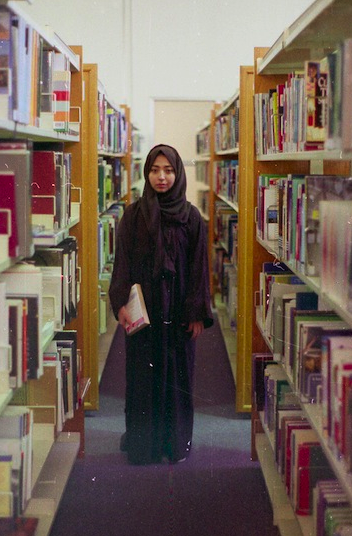 Aside from being inspired by what women in Saudi Arabia experience on an everyday level, Nouf is also inspired by Saudi feminist novelist Raja Alem, and poetry that deals with gender roles and toxic ideas of masculinity. One the barriers she faces is having access to locations to shoot. She cannot, as a woman, just roam the streets looking for great backdrops and photograph people at will. Her shoots are carefully planned out in order to avoid any trouble. Nouf also told Vice media in 2013 that another major barrier is the government. They unfortunately have to weigh in on every art project that is going to be exhibited and decided whether it passes their restrictions. When she was displaying her ‘What She Wore’ exhibit, half of her images were not allowed, she said, because some images showed women outside the home not wearing their abaya. While there are many ridiculous restrictions put on women, Nouf says using photography is a great tool to sharing opinions about these issues. “I do think art is the most useful tool when it comes to promoting feminism in Saudi Arabia, because you can speak about so much and still be vague,” she said. One of the themes she hopes to explore in the future is male vulnerability. We are interested to hear her take on that because as she tells Vice, the perception we get internationally about men in Saudi Arabia is that men are anything but. “As a woman in Saudi, you’re always a minor, no matter how old you get. You always need a guardian watching over you. Even if you need surgery, a man has to give you permission. I also know a lot of people who want to travel outside of the country, but they can’t because their guardian won’t give them permission,” she said. They are seen as the gatekeepers and final authority on anything to do in life, including women. So if Nouf’s photography and commentary is going to show something the world has never seen before amongst Saudi men, we’re all for that. Vulnerability isn’t weakness, just as guardianship doesn’t necessarily mean power. It is an interesting topic to explore and we can’t wait to see what this feminist photographer will discover. All of the images here are found on Nouf’s website, which you can see more of by clicking here.